Large Capacity Machine Shop in Fort Wayne, IN. BCS Management is proud to work with a locally-owned, Fort Wayne company that has deep roots in our city’s community. Applied Metals and Machine Works is a large capacity machine shop, that was founded in 1959. 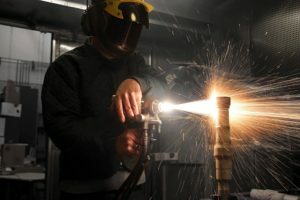 Along with being recognized as one of the pioneers in metallizing, Applied Metals developed a reputation for their customer-focused culture by providing 24/7 emergency repair services, pick-up/delivery, and both onsite or offsite services. Today, Applied Metals continues to serve as an extension of their customer’s maintenance department to reduce downtimes and increase productivity. 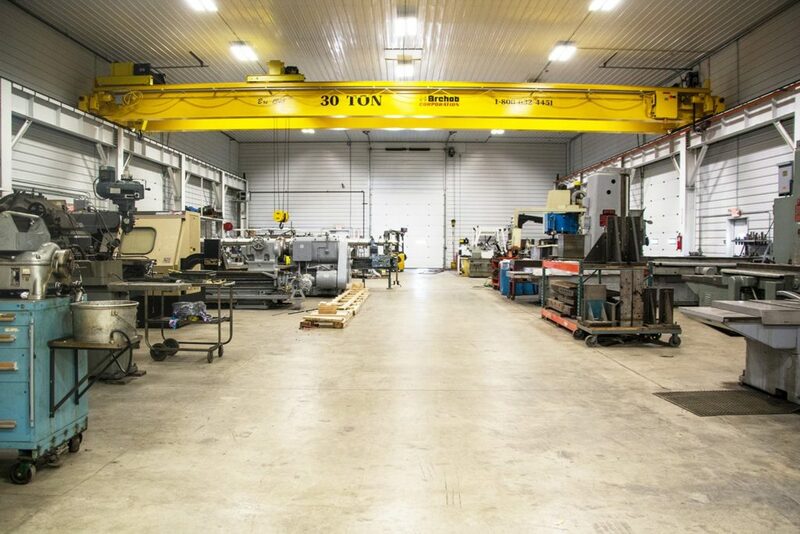 They currently offer the largest lifting capacity of any Fort Wayne machine shop, and the front-runners in the machining industry as the only certified Enerpac dealer and service center in the Tri-State area. With the holiday season approaching, Applied Metals is scheduling and preparing for work while most plants are shut down. Companies call them to perform necessary inspections, preventative maintenance and repairs during Thanksgiving, Christmas, and New Year’s shutdown periods. 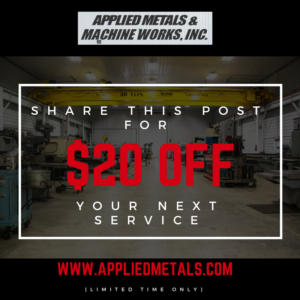 Applied Metals & Machine Works loves to connect with their customers on social media, including Facebook. They are currently running an offer on Facebook (left image). Follow Applied Metals & Machine Works on social media for company updates, industry insight, and special offers. Coming soon: A Company News Blog on their website!